will be available on-site Summer of 2018! The first class session has been filled. We will be scheduling more classes soon. Stay Tuned! *We initially made a mistake and posted Saturday, May 12 classes. Classes should only have been listed for Sunday, May 13. Due to our error and miscommunication, we will host classes on May 13 for those who did NOT attend May 12 classes. 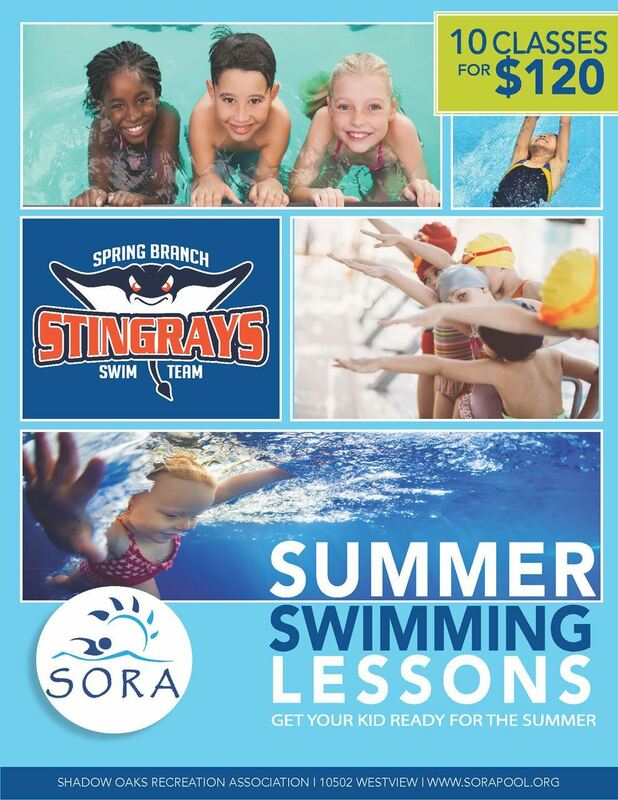 Swimming lessons schedule will be based upon registration demand. Lesson time slots will be sent by Thursday, April 12. Less experience swimmer lesson will be held earlier in the day. Swimming lessons are geared to teach children technique, not endurance. Children participating on swim team will practice endurance during their swim team practice. There will be time spent at the side of the pool while the instructor is working with other children. Level 1 parents are encouraged to leave the property (or help with the SORA property) during lesson time. This allows for the children to focus on the instructor instead of their parents.